When hoverboards first came into the market, one of the complaints was finding a balance. Being unable to find your balance on the scooter can lead to a fall and consequent suffering rather than the reason you purchased it: Enjoyment. According to a study, 91% of injuries on hoverboards were caused by falls. If you still have problems maintaining your balance, I can confidently tell you that is no more a problem you should worry about. Don’t just take my word for it, there is a reason maintaining your balance on your hoverboard is no more a problem. The solution to this problem can be stated in one word: Handlebars. With the introduction of handlebars in hoverboards, maintaining your balance just got easier. And not only that, your kids can also benefit from it. One of the main reasons that drove the hoverboard craze was that kids loved it. Now, as much as you want to see your kids happy while riding a hoverboard, you don’t want them in tears the next minute due to a fall on it. With the use of handlebars, it is easier for your child to achieve stability. This is a better and safer deal for you and your child if you ask me. Without further ado, I’ll be discussing 5 hoverboards that offer you handlebars to enhance your riding experience without fear of a fall. Swagtron T3 is made by one of the biggest manufacturers of hoverboards in the U.S. and one advantage it has over many other hoverboards is that it comes with a handlebar. T3 comes with many other features that make it one of the top choices if you want to buy a hoverboard. With a 4.5-inch wheel, you’ll be able to get a good ride on a smooth surface. It uses an internal gyroscope to power its movements and this allows you to control it based on how you shift your body weight. It is, however, advisable to stay away from a rough surface as it could pose a risk to your device or even destroy it. SwagTron T3 has a width of 23 inches and a depth of 7 inches which gives you enough leg room while riding it. It has LED lights which makes it beautiful especially in the night. Many times you worry about how to carry your device when not in use. This has become much easier with the T3 as you can carry it through the built-in strap underneath the device. It weighs 22 lbs which may be a bit too heavy for a child but can be carried by an adult. While working though, this hoverboard can support up to a weight of 220 lbs. It can move at a top speed of 8 mph and move for up to 11 miles on a single charge. All these are made possible through its upgraded 250-watt motor and gear stabilization which gives it a tighter traction. It has a smart battery management system which helps to monitor the voltage and current in the battery and makes sure the lithium-ion battery is not overcharged. The T3 has 3 riding modes: learner, standard, and pro. The learner mode is for beginners, especially children. It goes at a low speed in this mode and is more stable. In the standard mode, it uses the regular setting. For the pro mode, there are no restrictions on its speed and only experienced users should ride in this mode. 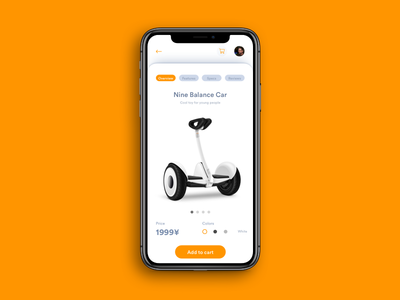 While riding on your hoverboard, riding in silence could be a bore but this is not to be worried about as the T3 comes with a Bluetooth speaker. You can enjoy music, or even a Podcast while taking a ride. Not only that, but you can also control your hoverboard through its app that is available for both Android and iOS devices. Due to safety concerns over hoverboards exploding, one of the safety certifications is the UL2272 certification. The T3 has this certification which makes it safe enough for use. It even goes further by having an incombustible outer shell. It has a shell made of proprietary polycarbonate. This makes sure that in case of any fire, you’re still safe as the fire is contained within the hoverboard. One thing that must also be noted about the T3 is its customer reviews. Customer reviews on Amazon show that users have mixed experiences with the hoverboard. This could be due to many reasons. But the fact that many users have unsatisfactory experiences with this hoverboard means you should follow every instruction in the user manual if you finally decide to buy this product. You can get the T+ hoverboard handlebar for Swagtron T3 at $39.99. The Swagtron T3 goes for a price of $349.99. The Streetsaw DailySaw was made by the Streetsaw company based in Nevada. The DailySaw has 6.5-inch wheels which ensures a smooth ride on flat surfaces. To ensure a smooth ride in the night, it has LED lights that can shine 6.5 feet ahead of your hoverboard. This gives you visibility if you’re riding in the night both to see ahead and for motorists to sight you in the night. It is able to move at a top speed of 10.5 mph (16.9 km/ph) while covering a maximum distance of 12.5 miles (20 km). It has a 44000 mAh Samsung or LG battery that can be charged fully between 60 to 90 minutes. With this single charge, it can run for 5-6 hours. Streetsaw DailySaw can support a maximum weight of 220 lbs (100 kg) which means it can support most people. While riding it, you don’t have to panic when you see a puddle as you can ride your hoverboard right through it. Your hoverboard is capable of water resistance with the IP54 water resistance certification. It has two 350-watt motors which power the hoverboard. Streetsaw even claims that DailySaw uses the same brushless motor technology as Tesla motors do in their electric cars. DailySaw has bumpers which make sure that when you hit your hoverboard on a wall or when your hoverboard rolls on the ground because it’s not balanced, there is a limited damage to your device. It has a width of 23.5 inches and a depth of 7.25 inches. This gives you enough leg space while enjoying a ride on your hoverboard. This hoverboard weighs 25 lbs which makes it a bit heavy especially if you have to carry it over a long distance. However, this risk has been mitigated with the addition of a bag to carry your hoverboard if you have to carry it from one place to another while not in use. What if you have to climb a sloppy area while riding your hoverboard? You have no reason to worry as the DailySaw can climb inclines of up to 20 degrees. The DailySaw takes the safety of its users important. That is why it has a provision for handlebars which enhances stability, especially for beginners. Furthermore, it has a UL2272 certification which means you can enjoy a ride on the DailySaw without the fear of your hoverboard exploding under your feet. The DailySaw comes in two version. A version of DailySaw is equipped with Bluetooth speaker and RGB LED lights, which are absent in the other option. While riding on the hoverboard, you can enjoy your favorite songs and the RGB lights give it a more beautiful look. It comes in jet black, Blue raspberry, candy apple red, Verde Ithaca green, tickle me pink and electroplated colors. The handlebar of the DailySaw goes for $19.99. You can get the non-Bluetooth version for $399.99 while the Bluetooth version costs $430.00. The StabilitySaw is also made by Streetsaw and has 10-inch wheels which makes it suitable for both smooth and rough terrains. And even wet terrains as it has an IP54 certification. It has a width of 27.2 inches and a depth of 11 inches which makes it roomy for your legs while taking a ride. With its inflatable tires, you can pump air into the tires like that of a bicycle. While riding on the StabilitySaw, you can go as fast as 11.2 mph (18 km/ph). You can also ride for a maximum distance of 15.5 miles (25 km). This hoverboard is really built for everyone whether you’re on the lean side or the muscular side or even the fat side. With a maximum load capacity of 265 lbs (120 kg), you can ride on this hoverboard without any fear about your hoverboard breaking into two. If you have to charge your hoverboard in a hurry before a ride, then the StabilitySaw will satisfy you in this regard as you can charge its 44,000 mAh battery within 60 to 90 minutes of charging. With this single charge, your hoverboard can last for 5 to 6 hours. Below your feet are two 350-watt motors which give the StabilitySaw a combined power of 700 watts. And if you have to carry your hoverboard while not in use? It can be carried over a short distance. Although with a weight of 28 lbs (12.7 kg), it will prove a difficult task if it has to be carried over a long distance. But you will never have to suffer through that as it has a low battery indicator which gives you a signal when the battery level of your hoverboard is going down. There is another version of the StabilitySaw which comes with a bluetooth speaker and app control. These two features make your ride on the hoverboard far more enjoyable than the non-Bluetooth version. You can now enjoy music while riding on your hoverboard. Not only that, but you can also control your hoverboard through the app. In fact, the app makes the operation of your hoverboard so easy that you can switch the StabilitySaw on and off with the app. The app also helps you to control things like your top speed, motor resistance, turning speed, music via the Bluetooth, see your current speed, fault detection and analysis and view battery percentage. The Bluetooth version weighs 29.75 lbs (13.5 kg). Climbing inclines is not a problem with this hoverboard as it can climb inclines of up to 30 degrees. It has the UL2272 certification which means there is no fear of explosion under your feet while riding on it. The non-Bluetooth version comes in black carbon fiber, red flames, yellow Kraken, white graffiti, plain white, and plain blue colors while the Bluetooth version comes in solid black, solid blue, solid red, and solid white colors. Segway was one of the first companies that started making hoverboards. The SegWay miniPRO has 10.5-inch pneumatic air-filled tires which makes it suitable for rough terrains. The tires also have military-grade shock absorption capability which means you don’t feel all the rigors of even a rough terrain. It has two 360-watt motors which give it a combined power of 720 watts. With these engines, the miniPRO can reach a top speed of 10 mph and cover a distance of 14 miles on a full charge. It takes 4 hours to fully charge its battery which means you have to plug it long before you need to use it. This hoverboard is safe as it has the UL2272 certification which means there is no fear of fire hazard from the device. It can carry a maximum load of 220 lbs (100 kg) which is the regular load carriage for a hoverboard. It has a width of 21.5 inches which means you have enough leg room while riding on it. The miniPRO also has the Bluetooth and mobile app which makes your ride more enjoyable and have a better control. With the mobile app which is available for Android and iOS devices, you can use a remote control operation, Anti-theft alarm, speed control, customizable lights, vehicle diagnostics, and firmware updates. One downside with the miniPRO is that kids may have difficulty riding it due to the position of the knee stalk. The Segway miniPRO with Handlebar goes for a price of $759.00 which is a bit pricey but safer with the handlebar. If you want to buy separately, you can get the miniPRO for $598.99 and the handlebar for $153.87. This amounts to almost the same price with the previous option. 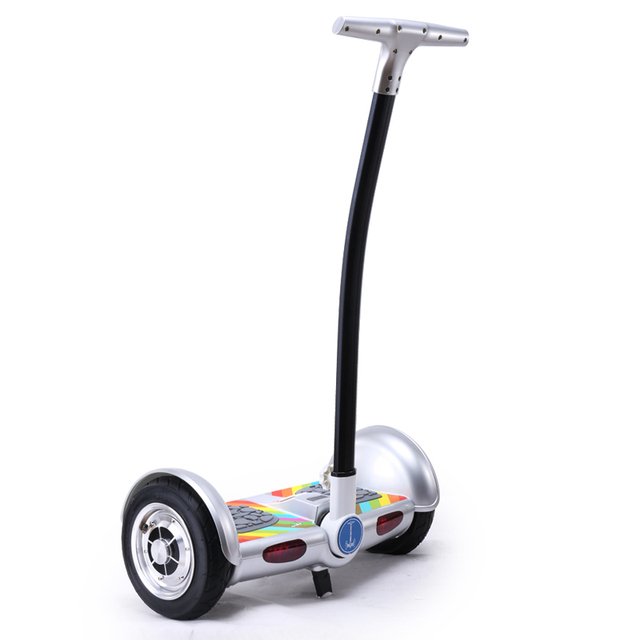 The segway miniLITE has two 350-watt motors which combine to give it a total power of 700 watts. With this, it can move at a maximum speed of 10 mph (depending on rider’s weight) and cover a maximum distance of 11 miles. It can carry a maximum weight of 180 lbs which makes it more suitable for children than most adults. It uses a 155Wh Lithium-ion battery to power it and you can charge this battery fully in 3 hours. But there is no worry about the battery exploding as the miniLITE has the UL-2272 certification. MiniLITE has Bluetooth and a free mobile app. Through the app, you can customize the rear LED lights, read vehicle diagnostics, adjust the steering sensitivity, adjust speed controls, and firmware updates. It has both front LED lights and the taillights which give good visibility especially if you’re riding in the night. It is a bit heavy at 26 lbs when you consider that it will be used mostly by children. The handlebar for the miniLITE goes for a price of $119.00. The segway miniLITE goes for a price of $299.99. One of the concerns about using a hoverboard is having the right balance to avoid fatal falls and consequently injuries. The addition of handlebars to hoverboards eliminate the fear about gaining balance easily. Handlebars are also good especially if you have to train a child on achieving balance on a hoverboard. These are five great choices you can make if you’re looking for a hoverboard that gives you the handlebar support. Whether you’re buying for your child or for yourself, you will find a hoverboard with a handlebar that suits your needs here.